At Veteran Electric, we understand the meaning of service — both in our lives and in our work. 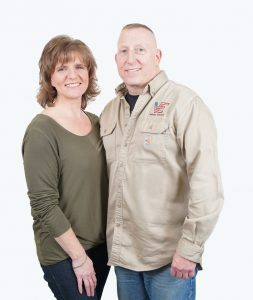 Led by husband-and-wife team Eric and Jennifer Stopper, U.S. Army veterans for a combined 12 years, we serve our commercial and governmental clients with veteran know-how and quality execution. We always place top priorities on integrity and safety. As a licensed journeyman electrician for 20 years, Eric Stopper and his team have the qualifications to handle all of your electrical needs. We are also committed to employing military veterans when possible and work tirelessly in the community to support veterans both old and young. With 20+ years of experience in the industry, and more than a decade serving Oregon and Washington. We work with our customers to deliver the best electrical solutions to meet project requirements — because service matters to us. Give us a call today at 503.657.VETS. 503-657-8387 | eric@vetelectric.net | 0700-1630 hrs. Veteran (Vet) Electric is currently participating in the Port of Portland’s Mentor Protégé Program. We respect your privacy. 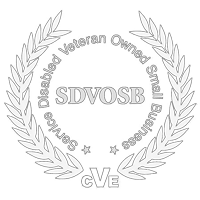 Veteran Electric (VE) collects, uses, and protects information obtained from you on this website. We ask for only the information we need to provide the service you’ve requested. VE does not use or disclose information about you or information that you may give us, such as your name, address, email address or telephone number, to any outside companies or parties. We do not rent, sell, or trade any of our mailing lists. VE provides individuals with the right to opt-out of receiving email marketing and to update, supplement or delete their own voluntarily submitted personal information which VE uses for the previously noted business purposes.